One of Capability Brown’s great skills was using structures and buildings to enhance vistas, something which is seen in many of his designs and has been continued in gardens to this day. 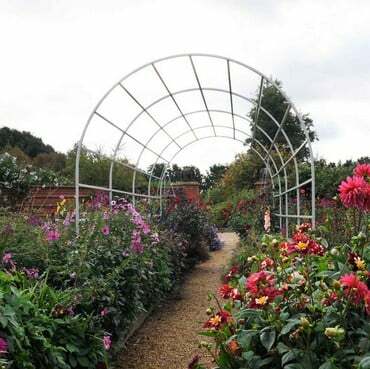 When I am looking at working on a clients garden, there will no doubt be some sort of structure included and whilst that may be a building such as a shed or summerhouse, it can also be a beautiful pergola or arch for climbing roses and clematis or just attractive supports for growing plants in beds and borders. 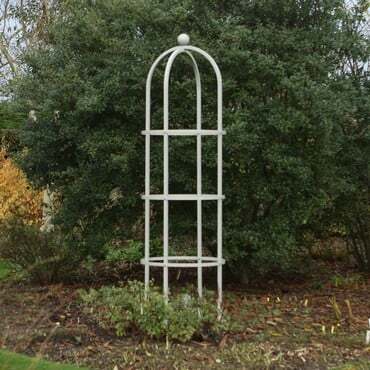 No matter what size of garden you have, structures do often form part of the design and that can include plant supports such as obelisks, Y shaped and trumpet shaped supports which are not only aesthetically pleasing but do a great job of keeping plants from flattening out in rain or as they grow bigger. 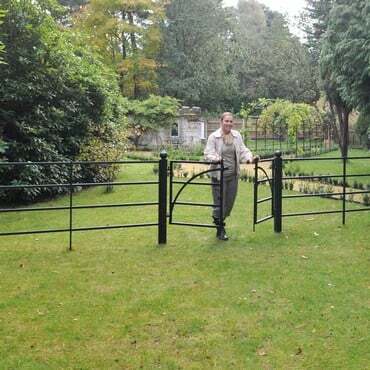 Even attractive gates and fences can be a great addition to a garden. Structures of all kinds, just like plants, can separate spaces, bring added interest, create an entrance to the garden or pathway and can focus the eye on a beautiful view. Remember to think about the scale of any structure, ensuring its not too big for the space or too small to be noticed, losing its impact. In fact if you have a small garden and want to maximise on space, think vertical! I’ve seen some super structures on my gardening travels, one being the beautiful Harrod Horticultural silk grey garden pergola in the Diamond Jubilee Walled Garden at East Ruston Old Vicarage when I was filming for Mustard TV. On my allotment I use Obelisks to support my Sweet Peas, which do the job just perfectly for me. So instead of just using canes for plant supports, look for something visually attractive and suitable for your style of garden. 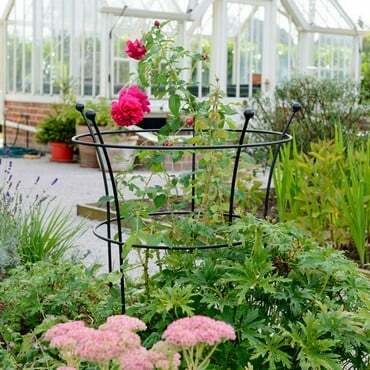 Vintage plant supports look great in a cottage garden and metal garden pergolas large enough to have a table and chairs underneath a canopy of fragrant climbers can be a perfect place to relax. This Guest Blog was kindly submitted by Ellen Mary, gardening TV presenter for Mustard TV and columnist for Places and Faces along with Feast Norfolk. Having a passion for nature and wildlife gardening, she is also the wildlife gardening writer for The Norfolk Wildlife Trust and the Founder of No Fear Gardening.